Type the following commands, pressing Enter after each command. 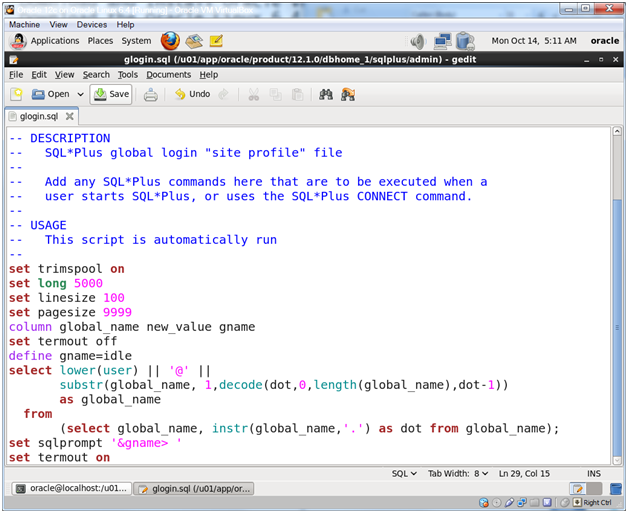 The previous command will open the existing glogin.sql script. 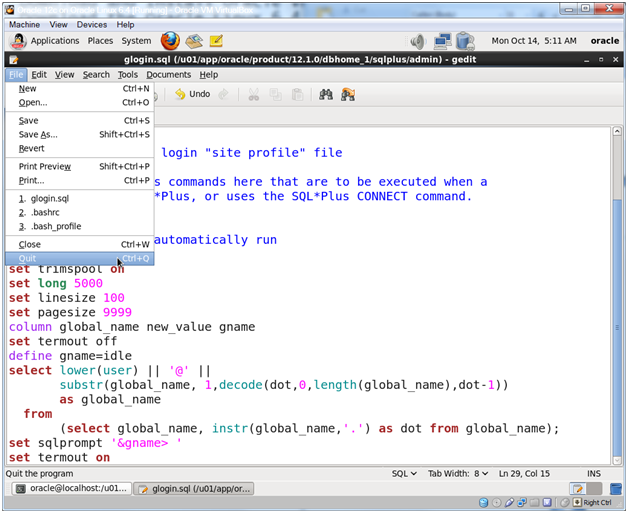 Add the below lines to the glogin.sql file and then click Save. 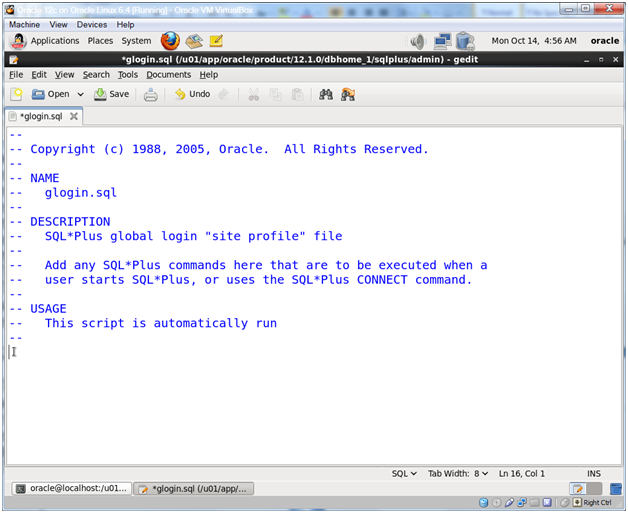 While the above glogin.sql is really cool, it does have the side effect of not allowing Enterprise Manager Cloud Control 12c (12.1.0.4 at least) to start the database. It appears that the select statement (which of course errors out when the database is down, but since we turned off terminal output with the ‘set termout off’ and then back on with the ‘set termout on’ it really shouldn’t make a difference…) breaks EM. I’ve asked Oracle to log a bug on this. Very cool! I just tested this out with Enterprise Manager 13c and it’s fixed. I’ve got a login.sql (instead of glogin.sql) and a SQLPATH environment variable that points to it and was just able to start my database with EMCC 13c. Thanks Oracle! 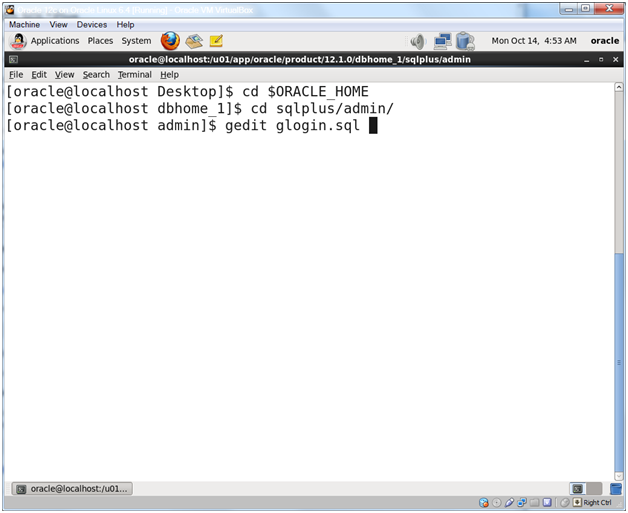 This entry was posted on Monday, April 28th, 2014 at 7:18 pm	and tagged with Database Install, Oracle, Oracle Linux and posted in Code, Linux. You can follow any responses to this entry through the RSS 2.0 feed.